Managing Partner Kevin Darby will speak on a panel at FIA Expo exploring Open Source and Interoperability on the Trading Desk at 1 pm on Thursday, October 18. Joined by Brian Peterson at Hehmeyer Trading + Investments, Jared Broad from QuantConnect, Tom Schady from GreenKey Technologies and moderated by Greg Wood from FIA; the group will discuss how open source software can help systems interoperate and allow humans to focus more on providing value. Open source offers clear benefits in areas such as communication and serialization protocols to promote interoperability between systems. Additionally, linking in generally accepted and peer reviewed libraries dramatically shortens dev time, however best practices must be followed to avoid common pitfalls around data security, code correctness, and performance. We invite you to learn more about the pros and cons of Open Source on the Trading Desk from this esteemed panel of technology experts and hope to see you there. 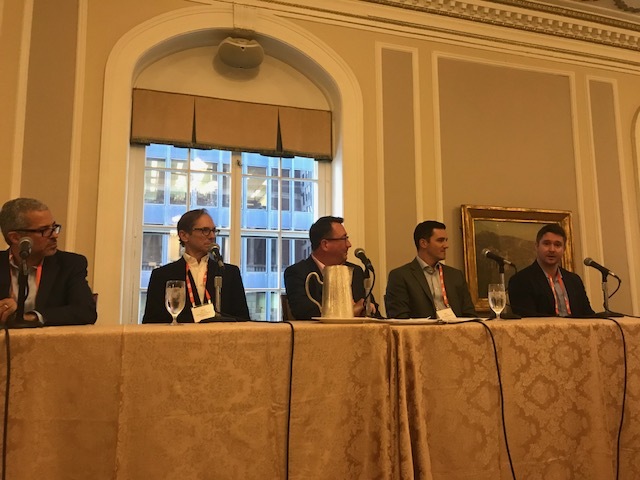 The Futures Industry Association (FIA) held a panel discussion on September 11 at the Union League Club covering the basics of cryptocurrencies, what impact the futures industry has had on the space and how regulators have responded to the new asset class. Moderated by Greg Wood, Senior VP of Global Industry Operations and Technology at FIA; the panel included Kevin Darby, Managing Partner of Blue Trading Systems, Chris Hehmeyer, CEO and Founder of Hehmeyer Trading + Investments, John Tornatore, Global Head of Crypto at Cboe Global Markets and Giovanni Vicioso, Senior Director of Equity Products at CME Group. We are excited to announce that we have partnered with Born Technology to provide professional traders with rapid access to our ultra low latency futures trading software delivered via Born’s private, global financial network. Establishing the relationship was an easy decision for us as our offerings align exceptionally well. For over a decade, we have been providing derivatives trading and risk analytics software to firms looking for a competitive edge. Since 2002, Born pioneered the managed services model, providing its buy and sell-side clients and ISV’s with ultra-low latency colocation and market access, along with tools to monitor, measure and manage their order flow. We are committed to continuing a software evolution delivering significant speed and cost benefits, offered to Born Technology's wide distribution of global FCM's and professional trading groups. Our BTS Spark platform provides control and transparency while keeping proprietary trading algorithms private. It includes a 25-microsecond futures spreader and algo system that allows customers to develop their own algorithms and compose them with those that we wrote. Currently in production at CME, with plans to expand exchange connectivity to Eurex and ICE during Q4, BTS Spark is the most cost-efficient solution for verifiably better fill quality available today. In addition to expanding our product suite to include a futures trading platform, Blue Trading Systems has also grown in the number of specialists we have in Chicago. To accommodate our larger presence we have moved out of the Chicago Board of Trade office and into new space at 318 W Adams. The Blue Trading Systems journey began by providing full support to commodity, rate and index options traders. The BTS Edge platform has highly adaptable volatility controls, risk analysis and intuitive electronic trading capabilities. It was built from the ground up with speed in mind and has always kept latency as a design priority. In the past few years, we have taken what we’ve learned from helping options market makers and professional traders, and expanded our suite to assist futures traders as well. We introduced BTS Spark, our anti-cloud, 25 microsecond futures spreader and algorithmic system. It provides verifiably better fill quality and addresses shortcomings in the currently available platforms. We are also proud to be the only provider to offer an FPGA accelerated futures platform through our partnership with Celoxica. We understand that a growing number of traders are also computer scientists, like us, and built the BTS Edge API and the BTS Spark API. These intuitive tools allow our users to enhance and extend the market capabilities of our solutions. 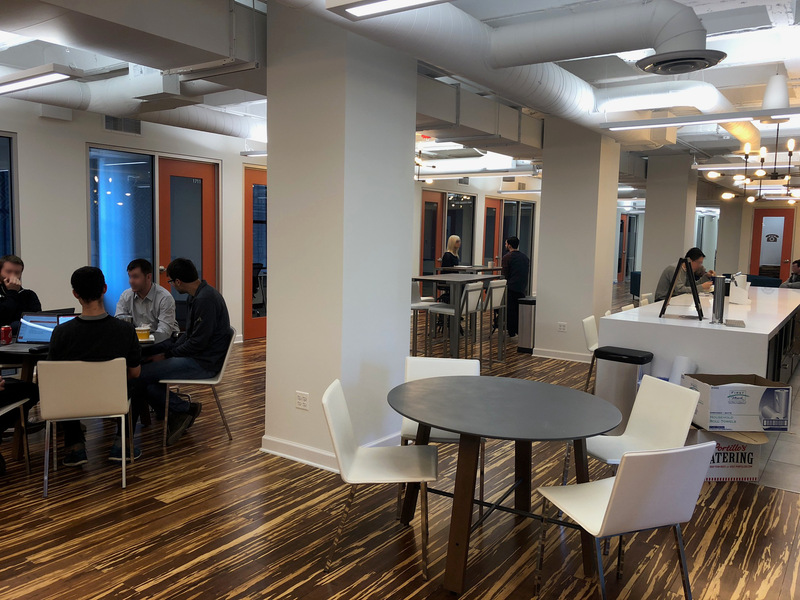 With a full suite of products for derivatives professionals, it was only a matter of time before our customer base grew and our need for more experts located in Chicago became apparent. (In fact, if you would like to read about our most recent new hire, please visit our Q&A with Brian Muhr.) With this growth, we look forward to seeing what we can do in a new space and what additional value we can provide in the future.